I’m a fairly shy person so to be placed into a Life Group without knowing anyone was a bit of a nightmare for me—initially. However, I would soon come to meet two ladies who would become some of my favorite people at PUC; and they continue to be many years later. 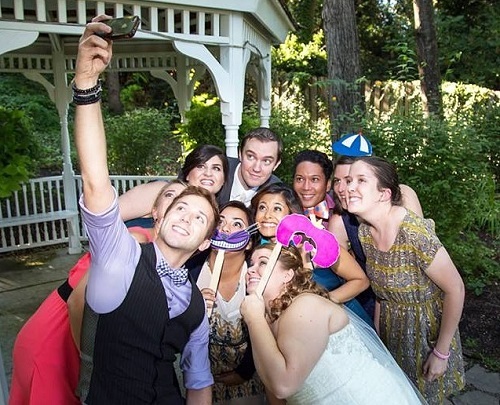 You might be asking yourself, “What actually is a Life Group?” and that’s a great question. I chatted with Emma Tyner and Logan Earles who are two Life Group leaders, and they answered a few Life-Group-related questions to help explain what they are, and why you should care. Life Groups are a way for incoming freshmen to meet other students in their class and to get to know someone who knows about PUC. 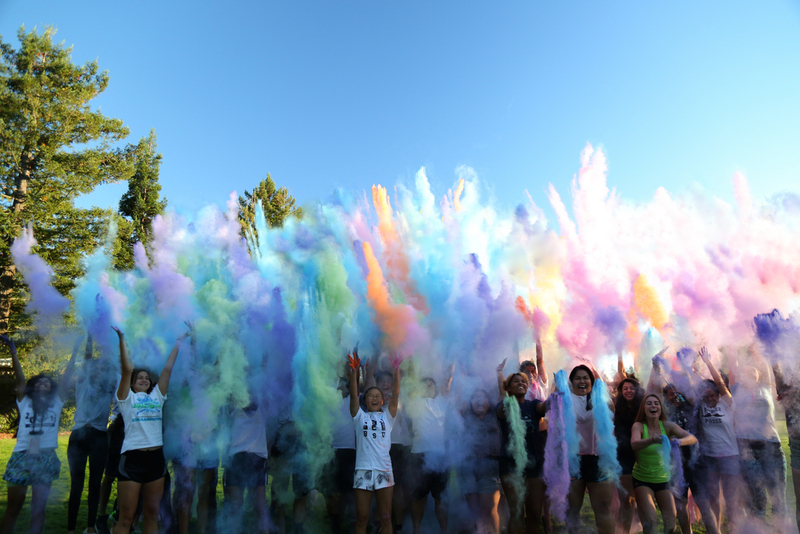 These groups serve as a way for new students to start their college experience off on a good note by introducing them to their fellow classmates and help get them involved in school activities from the start of their first quarter here. Do I pick a Life Group or am I assigned to one? You and your roommate are assigned to a group together. Normally you don’t know anyone else in your group; this is to help you meet new people outside your regular group of friends. What are some of the things Life Groups do? Activities vary; there are planned events all Life Groups will participate in, but for the most part, the things you do with your life group are discussed and decided by the group. Activities can include watching a movie, going out to eat, going for a hike, or playing board games together. If you have an activity you want to do, all you have to do is bring it up to your Life Group leader, and hopefully, everyone can work out a time to do it! Who can be a Life Group leader? Life Group leaders are students from PUC who have expressed the desire to be apart of the new student experience. Usually, these students have a wide variety of backgrounds and experiences at PUC, which can be a huge asset to students new to the college. 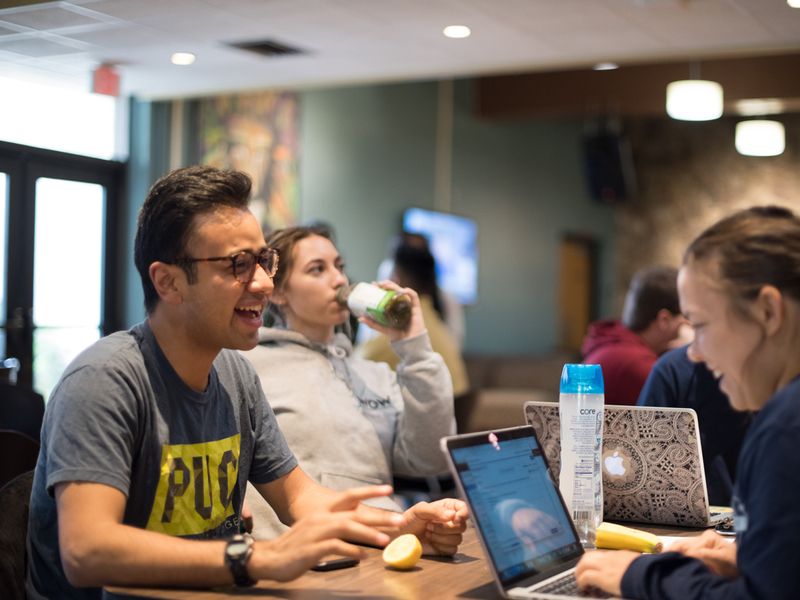 Life Group leaders want to help new students feel comfortable and have a safe place to ask questions as they start their college experience at PUC. How long will I be in my Life Group? Life Groups are usually very active during the first quarter of the year and then stay active as long as the group wants. There is no limit of time you and your Life Group can meet! We hope this helps you get excited to start your college years at PUC and meet your very own Life Group! Even here in sunny California, the winter months can seem a little long. With shorter days and cooler temperatures, it’s important to take some time for self-care. From one PUCite to another, here are some pro-tips and products to help you make it to spring! Surround yourself with photos of friends and family. Use less harsh lighting. Swap out your light bulbs for these indoor sunshine bulbs from Amazon. Decorate your dorm room with candles. Target has a great battery operated option. Get yourself a desk plant. Succulents are very popular and don’t take a lot of upkeep. Make your room comfortable with extra pillows and blankets. Grab a plush toy even! Invest in blackout curtains or a sleep mask to make sure you get some real rest. Hang some Christmas lights up. Don’t bother undecorating after the holidays either, just leave them up for a little ambiance! Use a diffuser with different essential oils. My personal favorites are lavender and rose. Make sure to have hot cocoa mix and throw in a festive mug or two. My personal favorite is this Star Wars porg mug. Stock up on Airborne, Zicam, and Emergen-C to fight off any bugs. Pick one show you can watch weekly (or nightly) for a much-needed break. Pack your cupboard full of microwaveable popcorn for a healthy-ish late night snack. Chamomile tea helps with sleep and improves cognitive functions during the day, so have some on hand. For a little extra quiet, have earphones for your study music and earplugs to help you sleep. There are cheap versions of each at places like Target, but Flare Audio ones have some outstanding reviews. Remember even in the most stressful times, there is always a friend, resident assistant, dean, chaplain, or a professor who would be happy to take a few minutes to talk and pray with and for you, so don’t hesitate to reach out to someone when you need some extra support. These are just 15 simple ideas and products I personally find helpful. But don’t just take my word for it, ask friends and family and start your own list. When I was in college here at PUC, my favorite place to study was at the Campus Center coffee shop, The Grind. I enjoyed having background sound and people milling around. (For more about how much I love the college’s Campus Center, read my blog post “PUC’s Campus Center Will Be There For You”!) But not everyone is like me, which is what is so great about being at PUC. 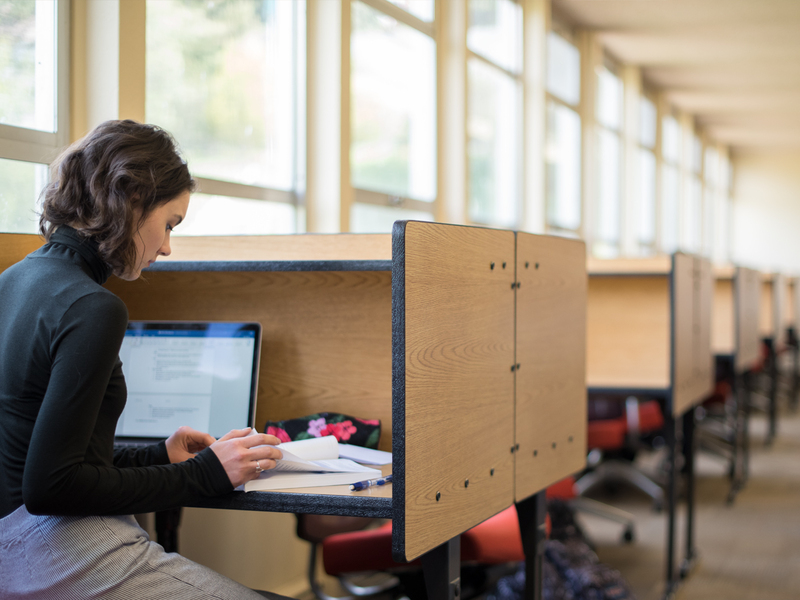 The campus offers a variety of study spaces for both group and solo studying. 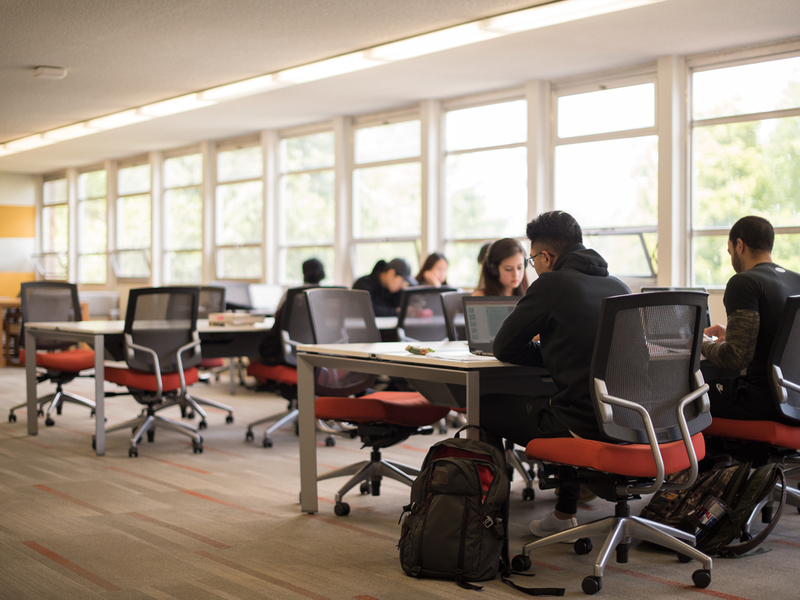 From the library to individual department study spaces, you’ll never have far to go to find a great spot to crack open your books. 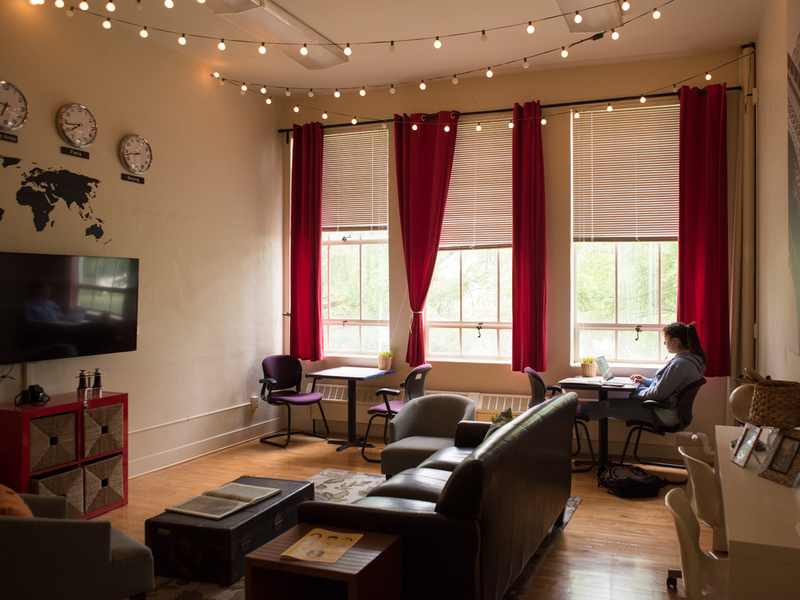 Below are photos of just a few places here on campus that are ideal for studying. 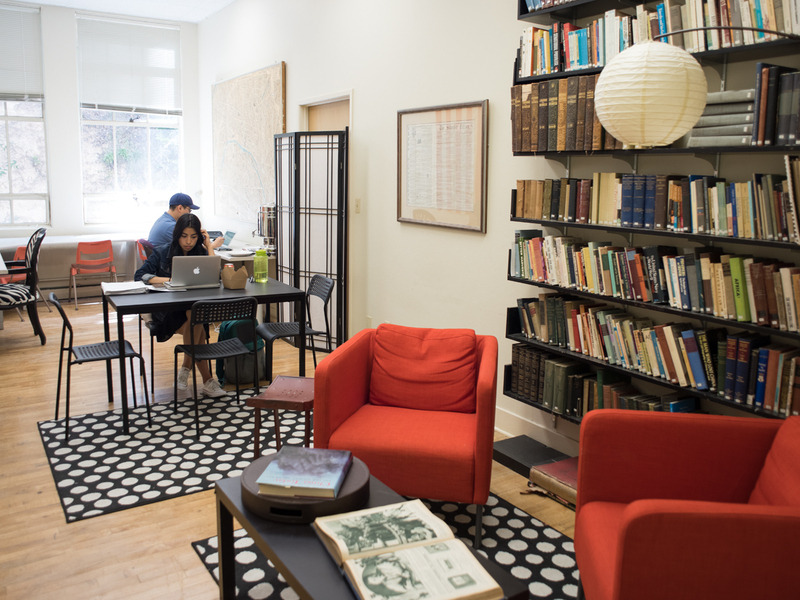 There are also plenty of other spaces available to students, including lounges in the departments of music, English, and visual arts. The student lounge for the department of history in Irwin Hall. The student lounge for the department of world languages & cultures in Irwin Hall. The library has a lot of study spaces for students. More study spaces in the library. Outside the library is a great place to hang out too! 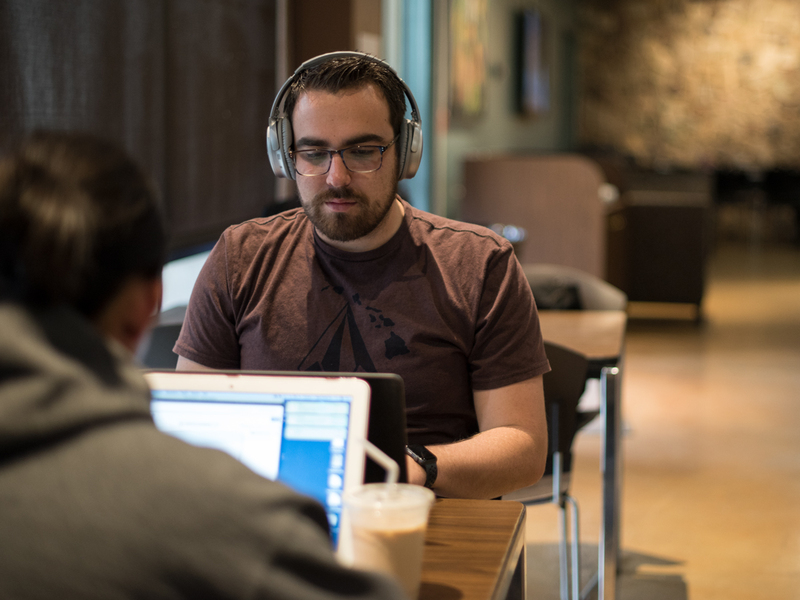 The Campus Center is always packed full of students studying or enjoying a coffee break. It’s a good idea to bring your headphones to the Campus Center if you’re trying to study! 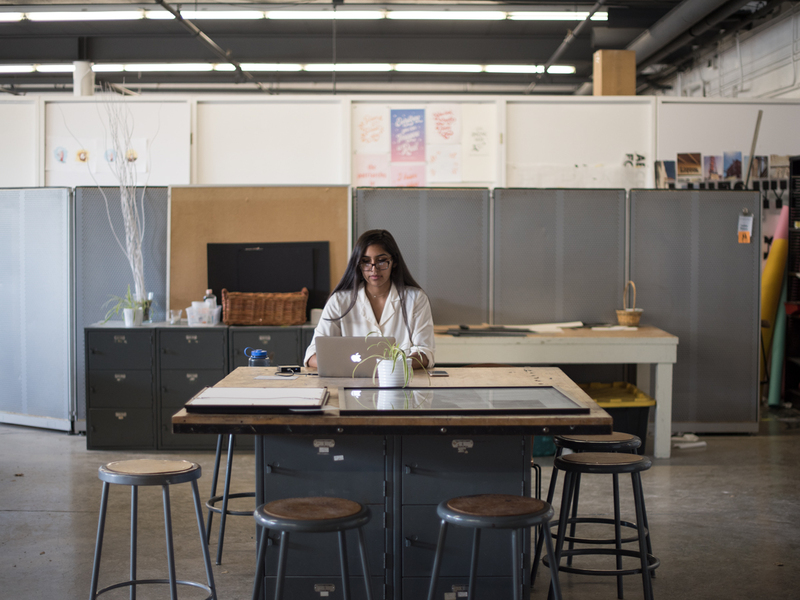 There are plenty of places in Fisher Hall, home to the department of visual arts, for students to study, including the art studios, shown here. 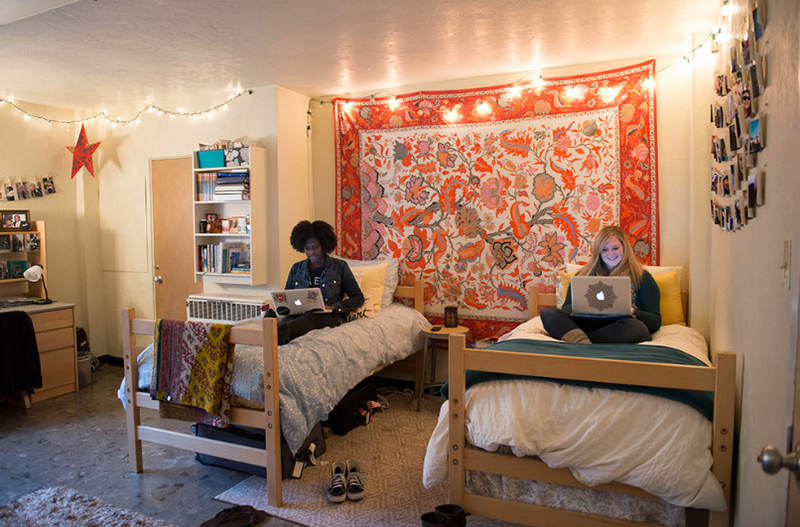 Wednesday, September 20 brought the close of summer break as freshmen, along with their families, swarmed the seven residence halls turning empty rooms into their home away from home for the next nine months. 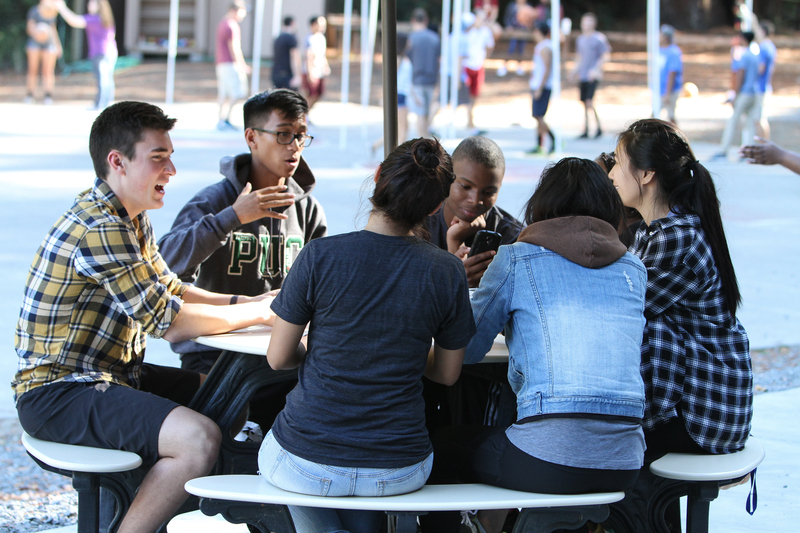 After New Student and Family Orientations were completed, the freshmen were whisked away for the FUSION retreat, which is a time where they can get to know each other in a casual setting off-campus. Faculty, staff, and current students donned blue Student Association tees and helped the incoming freshmen and their families unload their cars and set up their dorm rooms on the first day of Orientation. 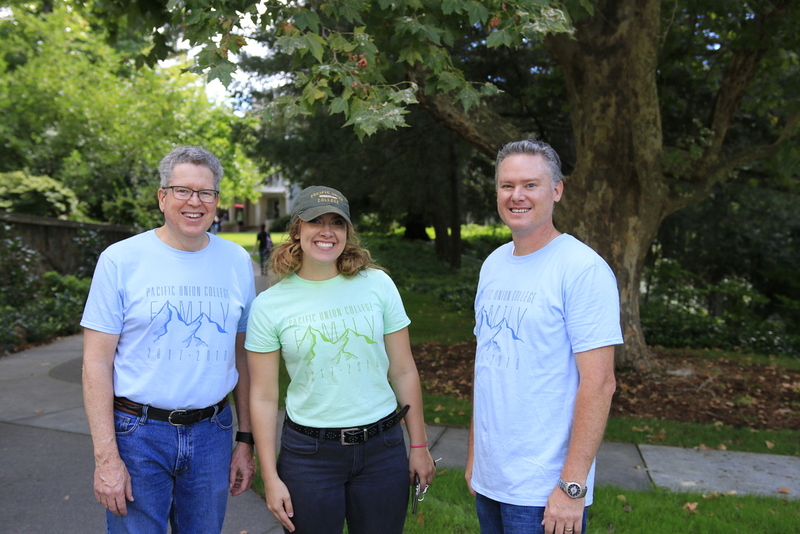 Pictured: PUC President Bob Cushman, SA President Megan Weems, and CFO Brandon Parker who all lent a hand that afternoon. 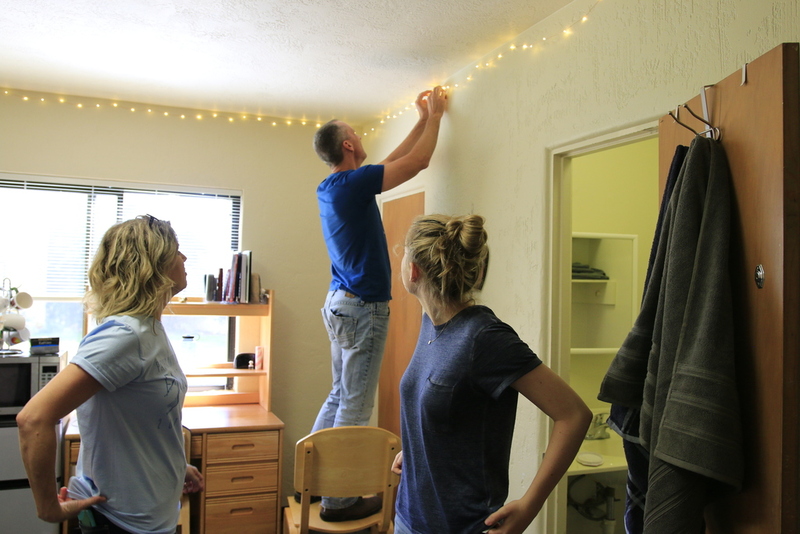 The Tyner family helping their daughter move into her dorm room. 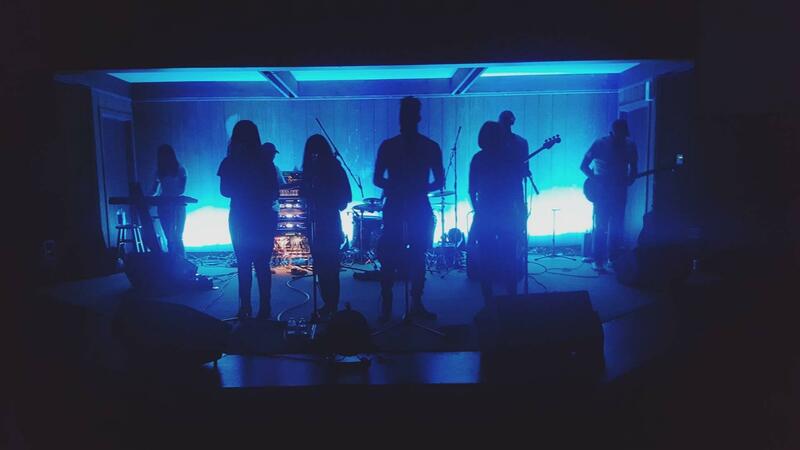 The PUC praise band leading out in group worship during FUSION. Starting the school year off with a splash of color after a fun water balloon fight. 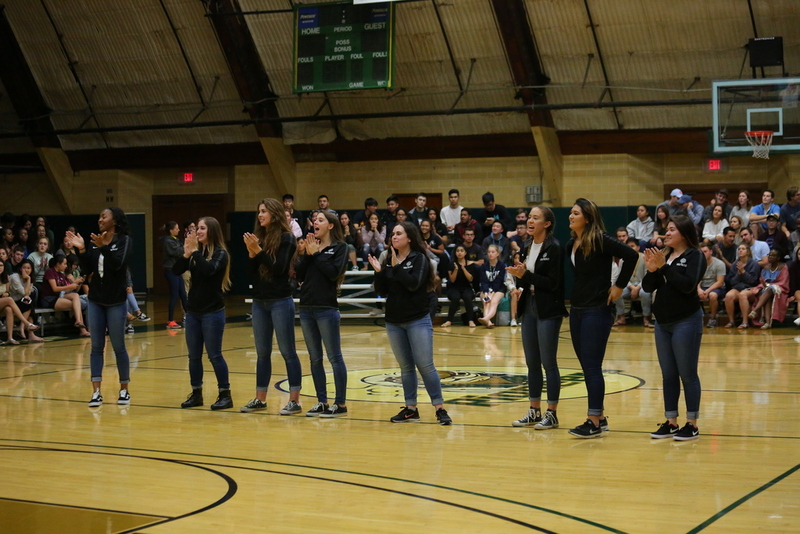 The woman’s volleyball team being introduced to the school during the annual Midnight Madness. 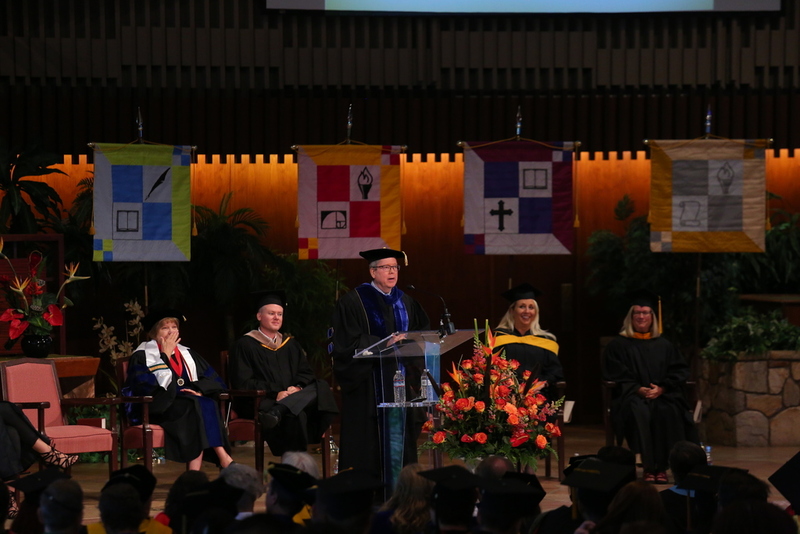 President Bob Cushman addresses the campus for the first time during Opening Convocation, the first Colloquy service of the year. He spoke of the need for love and unity, perfectly echoing the SA theme for the year, which is family. The first week was so much fun it can only mean more wonderful things are in store for the rest of the year! 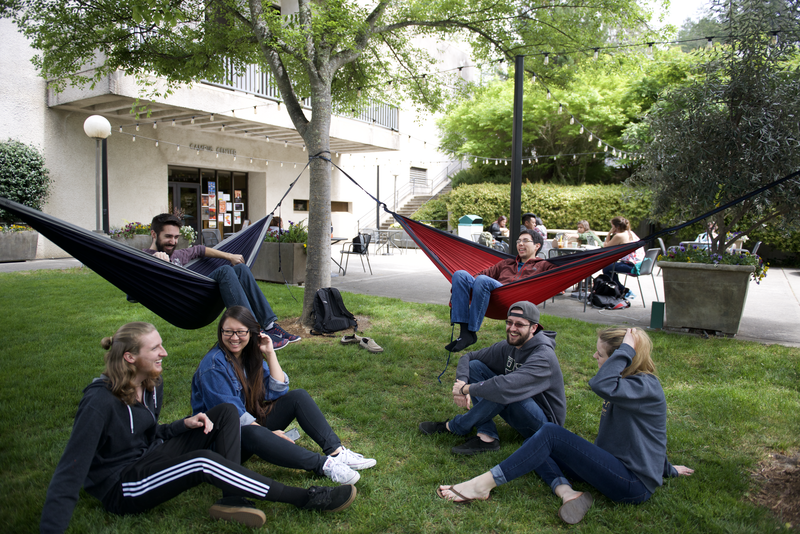 As students gear up for the fast approaching week of finals, most are excited to wave goodbye to school and head off to warmer weather, catching up on sleep, and days at the beach. But there are some who have different plans, plans which include spending a portion of their break taking classes. Over the past few years, summer classes have become more and more popular, allowing students to remain academically productive during the summer months. PUC offers a limited number of classes which cover the same coursework as a typical class, only in a much shorter amount of time, and sessions range variously from June 13 – August 12. 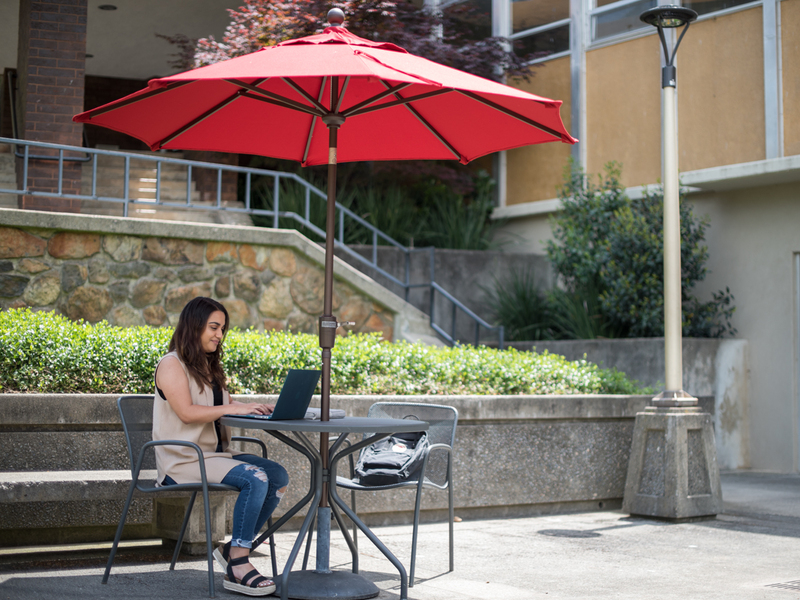 Once you get past the idea of sitting in a classroom while your friends are off enjoying months of freedom, and once you realize the accelerated course work of one or two classes is completely manageable, we hope you recognize the benefits of taking a summer class at PUC. While an accelerated class will likely mean a little extra work and studying, the lack of other classes and fewer distractions will allow you to devote much more time to your class, which will show in your final grade! Summer classes tend to be smaller in size which at first glance may sound boring, however, this is actually extremely beneficial to you. Smaller class sizes mean a lot more one-on-one attention from your professors.This will not only provide you with extra help on your course material but also a unique learning experience. Taking a class or two in the summer will also give you some freedom with your schedule. If you’re behind in your program this is an opportunity to catch up and if you’re right on schedule, this can allow you to lighten your regular course load. If this sounds like something right up your alley, check out the list of classes PUC offers during the summer months and as always, tuition and housing are 50 percent off, making this both a smart academic and financial decision! 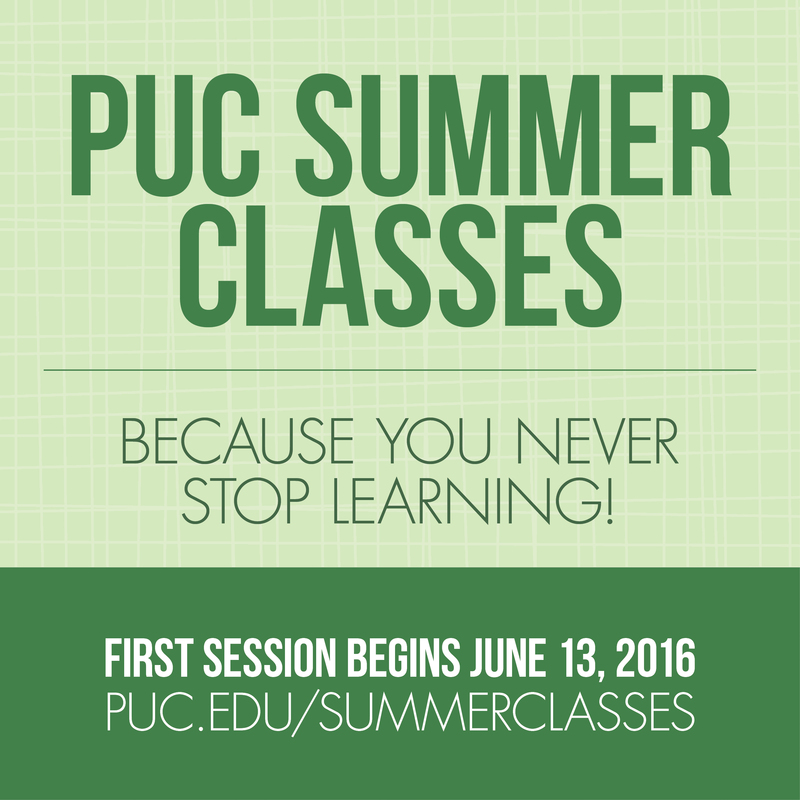 For more information visit puc.edu/summerclasses. 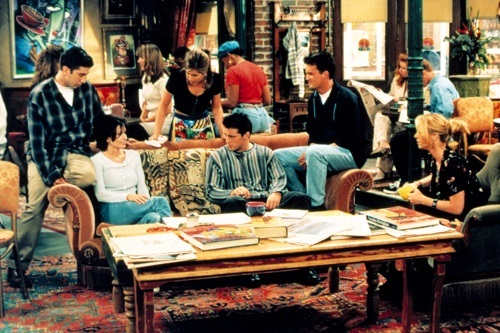 I’m pretty sure there were times my freshman year when the beginning of the “Friends” theme song felt like my life. You don’t necessarily come to college knowing a lot of people and if you’re a little shy like me, it can be hard to not only meet new people but feel like you’ve found some really great, lifelong friends. You and probably every other person on the planet have likely watched “Friends” (if you haven’t, it’s on Netflix, go binge watch it right now, I’ll wait) and you have dreamt of sitting on the infamous couch in Central Perk with your five very best friends, discussing things like shopping, dating, sports, food, etc. Now PUC may not have Central Perk but we do have our Campus Center. I know it’s not the quite same but hear me out! Located in the heart of campus, the Campus Center is constantly full of students, faculty, and staff members. 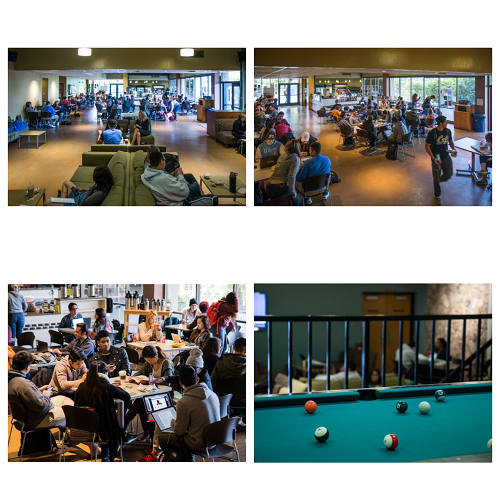 Aside from having TVs playing the news and big sports games, pool tables and couches to hang out on, it is also the college’s source for a quick beverage and snacks. When I started college, I thought I would have a difficult time meeting new people and getting involved, so I made a point to spend time in the Campus Center. I will admit, I was shy and felt awkward at first but people are generally very friendly at PUC and soon I felt like I belonged here. I can honestly say to this day some of my closest friends were made at PUC and we spent countless hours watching sports, studying, playing games, and just hanging out in the Campus Center. A good 75 percent of my favorite memories took place there. I sure found mine (couch not included)!